How would you like to own your own one of a kind Kershaw Leek? 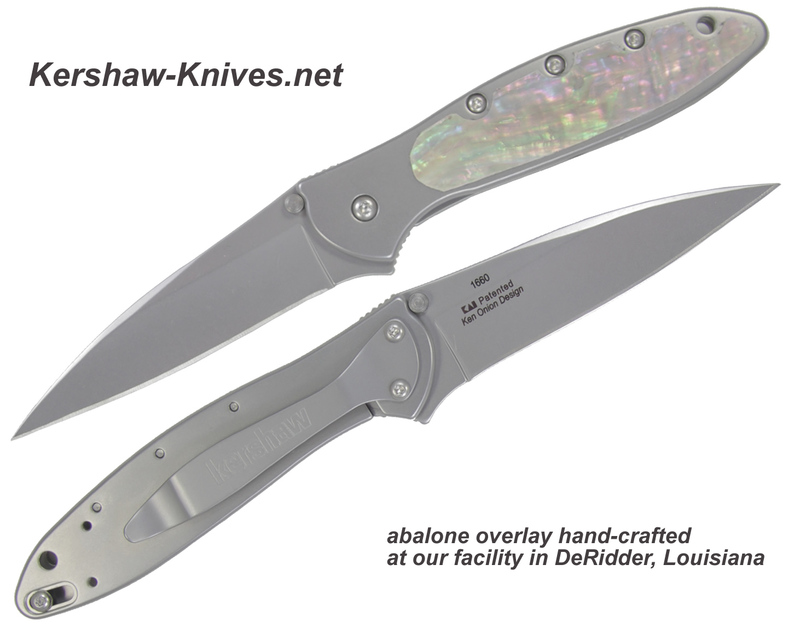 These Kershaw Leeks have been adorned with hand-crafted abalone overlays. 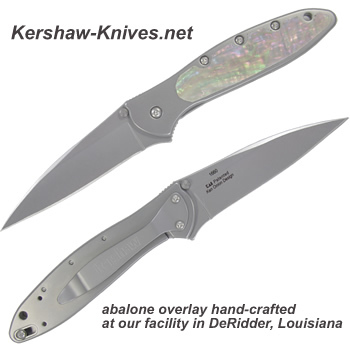 We cut these abalone slabs at our Louisiana facility and carefully overlay them onto the Kershaw Leek handle. We use top quality 3M adhesive to you can expect this overlay to stay with the knife for a lifetime. 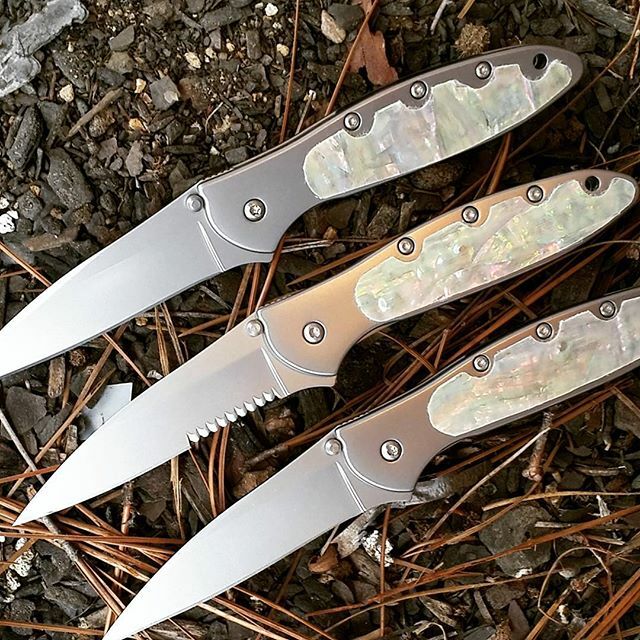 Each abalone overlayed Kershaw Leek is one of a kind - no two are the same!